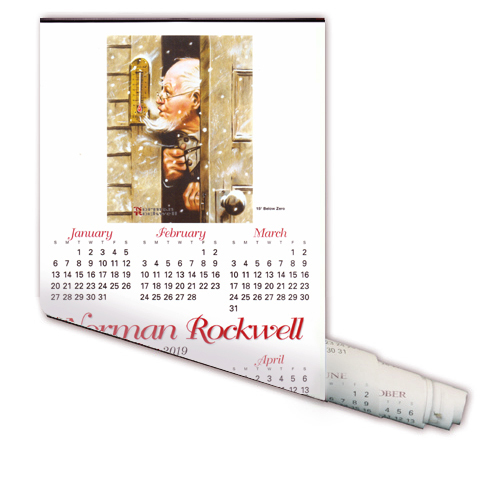 Make every day a Rockwell day with this 2019 scroll calendar! The entire year on one long roll. Measures 8" x 31". Made in the USA! Norman Rockwell's most familiar calendar illustrations, "The Four Seasons" series, first appeared on a 1950 Brown & Bigelow calendar. He continued painting this series for the next 16 years. Rockwell once said, "I have always felt that the paintings I did for the "Four Seasons" series... were the most satisfying to me of the many I have done over the years."